Garrett Leight Kinney - Matte Pinewood Need Help? 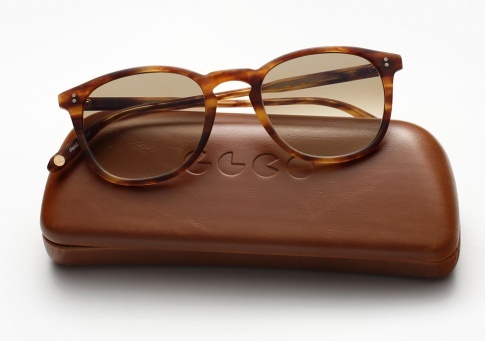 Simply put, Garrett Leight's Kinney is clean, classic, and comfortable. A unisex style, that is perfectly proportioned and looks great on just about everyone that puts it on. It is offered here in "Matte Pinewood" paired with semi-flat brown gradient lenses. Hand drilled riveted hinges plated in gold and silver.